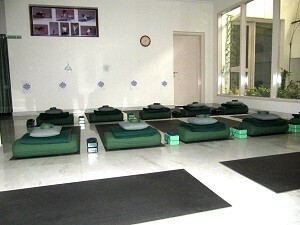 Yoga Classes (one to twelve week sessions) are held at the Yoga With Sapna Studio at various times during the year. Class Timings. Location. Advance notice of new sessions and any schedule changes is provided at the Studio and on the website. Special Programs are also held from time to time, such as weight loss, prenatal, cardiac health, diabetes management, children’s yoga, etc. Please Inquire. Sapna provides Yoga classes and special events at the YWS studio at various times during the year. Class size is limited to twenty six students. Each class encompasses asanas, pranayama, meditation, and relaxation. Unique yoga sequences choreographed by Sapna are often incorporated in YWS classes. Students typically maintain a regular routine of three classes a week (selecting either a morning or evening schedule). The specific practices are varied each day to ensure that students receive engaging and comprehensive instruction over time. Individual needs are discussed privately with Sapna and yoga instructions are adjusted suitably for each person. Classes are taught in the traditional yoga style and a good pace is maintained throughout – in a manner suitable for both beginners and experienced practitioners. Advance notice of the class schedule is provided at the Studio and on the website prior to the start of each new session. When not attending regular classes, students are advised to continue their yoga practice three times a week using my Do-Along Videos provided free of charge. These videos can be combined into a practice time of your desired length. Contact me for guidance about which videos you should combine based on your needs.